According to Carter County Circuit Court records, Ricky Flannery — originally charged with murder involving the death of Allen Tabor — has pleaded guilty to the lesser charge of second degree manslaughter. 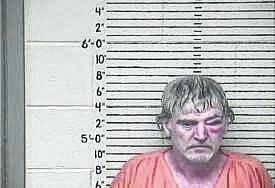 Appearing in the court room of of Judge Rebecca Philips on Tuesday, Flannery, 51, of Olive Hill, Ky., had been facing a murder charge for the Aug. 20, 2013, head on collision which resulted in the death of 54-year-old Tabor. According to reports, on Wednesday, the final verdict resulted in a guilty plea by Flannery to second degree manslaughter, which is a class-c felony. Flannery could face six years in prison accompanied by the completion of a substance abuse program either in prison which can be during or after his prison sentence is served. The sentencing date has been set for Monday, July 20, at 2 p.m. in Carter Circuit Court.